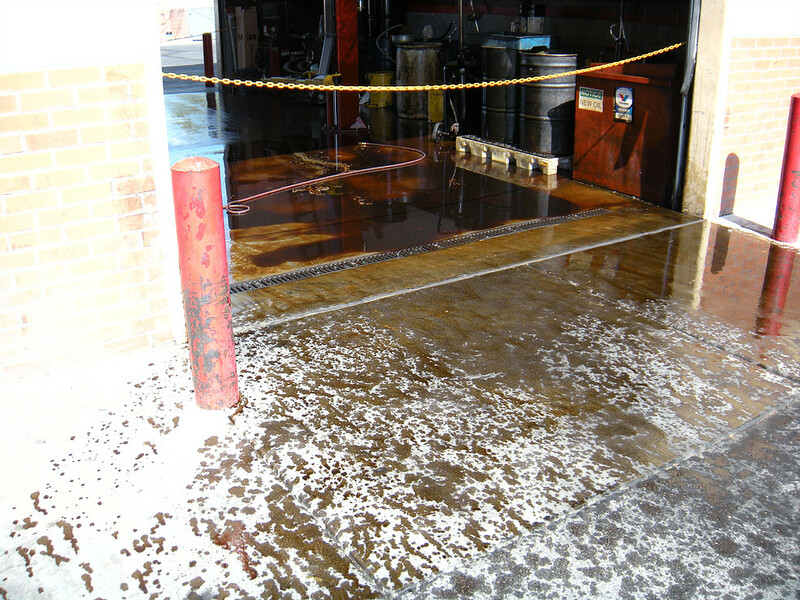 Logistical Solutions responded to a release of used oil that occurred when a storage tank was overfilled resulting in a release at this lube shop. Our vacuum trucks and oil absorbent were used to recover as much of the released used oil as possible. Oil absorbent was placed into 55-gallon-capacity drums for disposal at a permitted recycling facility. High-pressure steam cleaning techniques were used to clean the surfaces.